Though the short term trend of dollar is towards upwards, index is facing major hurdles near 81 and 83 levels. USDINR MCX Futures Hourly Trend Update USDINR MCX May Future Hourly Charts are shown with Super Trend indicator. Currently USDINR turned to sell mode with trailing resitance comes near Rs54.15/USD. Icimoku Cloud breakout in Dollar Index There is a sudden cloud breakout in the dollar index weekly charts above 78 as shown in the charts. 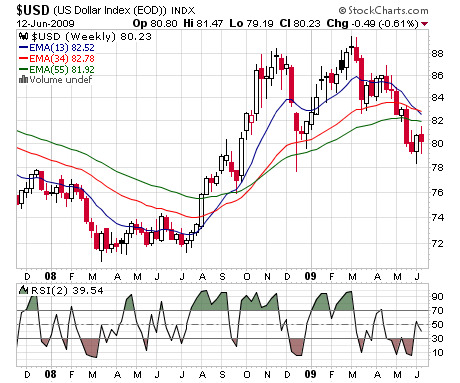 Which indicates longer term uptrend in Dollar.